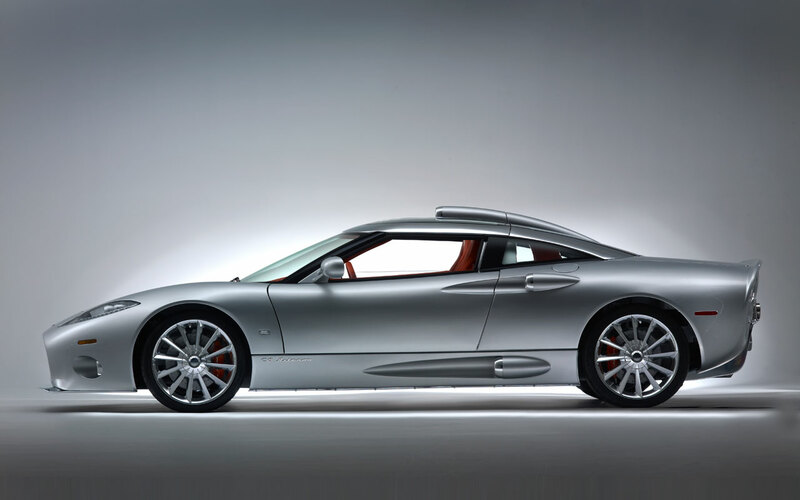 The all-new Spyker C8 Aileron marks the next step in Spyker's evolution. 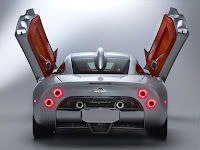 Initially unveiled as a concept at the 2009 Geneva International Motor Show, series production is ramping up at a purpose-built facility - operated by world-class specialist coachbuilder, CPP - in Coventry, UK. Customer deliveries began in April and the order book stretches twelve months ahead. 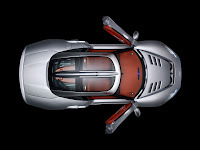 Inspired by the company's aviation heritage, Spyker's second-generation sports car features cues from second-generation aircraft propulsion, highlighting the turbine blade, rather than the propeller which adorned many elements of Spyker's first generation, short wheelbase cars. 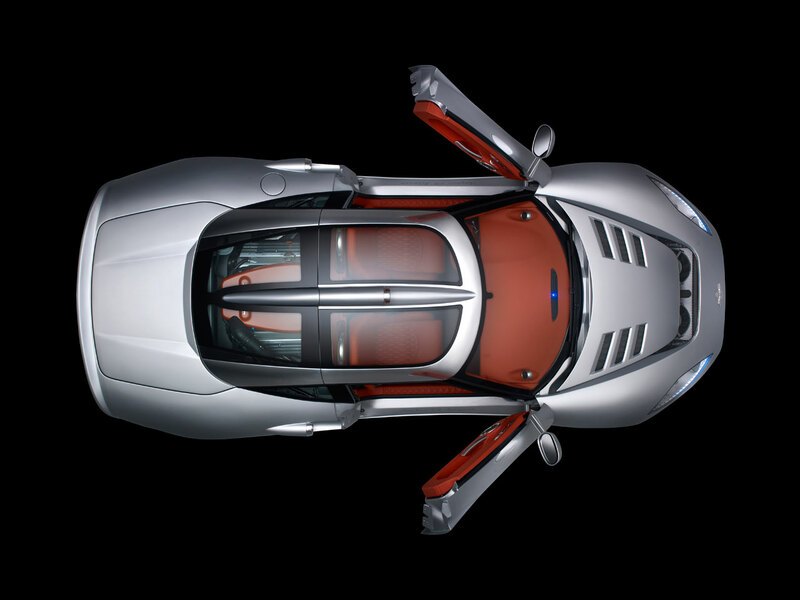 With sleek aerodynamics, a long GT wheelbase, luxurious and spacious cabin and worldclass ZF six-speed automatic transmission, the new C8 Aileron broadens the appeal of the Spyker brand while maintaining the marque's exclusivity. propeller propulsion to turbine propulsion. As a result, detailing on the car, such as the bright polished air inlets, are turbine-engine-shaped air scoops. subsequently in the Spyker D8 Peking-to-Paris prototype. Latest-generation LEDs are used for the front and rear turn indicators and the sidelights within the sharply-styled headlight units. Styling and functionality are harmonised in several characteristics of the car. The cockpit canopy, for example, is extended rearwards to optimise the aerodynamic performance of the car. Most of the shark-like gills of the C8 Aileron's predecessors have been abandoned, which results in a cleaner, smoother appearance. The front end is characterised by a large grille that has spectacular visual impact and also allows maximum flow of cooling air. The rear diffuser is crucial to the cars stability at speed, with a spoiler placed under the diffuser, providing additional downforce to boost the ground effect forces produced by the under-car airflow and the diffuser. Highly responsive, the V8 generates 400 ps at 6,800 rpm and an immense wave of torque (480 Nm at just 3,500 rpm), to ensure thrilling drivability. Strong torque, high power, sleek aerodynamics, modest car weight and an excellent powerto-weight ratio all result in sensational acceleration: 0-to-100 kph in 4.5 seconds and a top speed of 300 kph. above this figure, allowing the exhaust gases to travel straight out of the tailpipes to improve exhaust flow, performance and depth of sound. An optional 'Sport mode exhaust system' can be fitted, allowing the driver to manually overrule the valves, for a sportier sound throughout the entire engine rev range. automatic or clutch-less sequential manual gear shifting using the standard paddle shifts mounted behind the steering wheel. 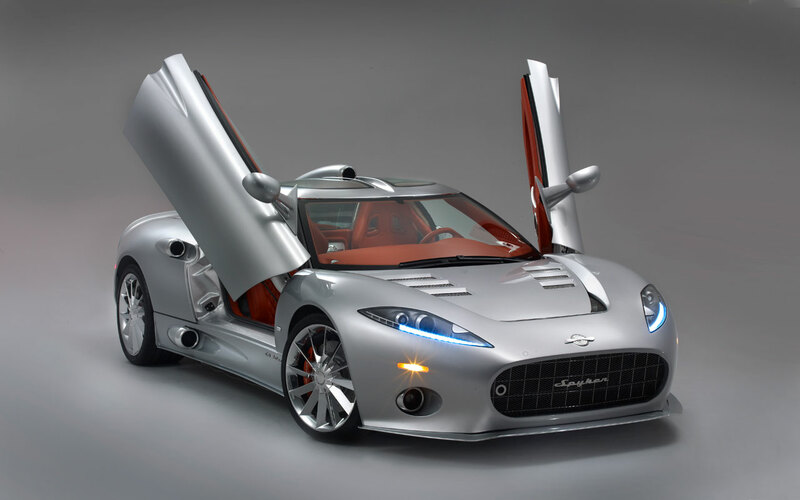 The transmission selection operation retains Spyker's trademark exposed gear change mechanism that provides a sense of occasion and proves that aesthetics and function go hand-in-hand. The aluminium paddle shift controls are substantive and easy to reach. They do not rotate with the steering wheel, allowing the driver to easily identify the up-shift and down-shift paddles, regardless of the steering wheel's angle. 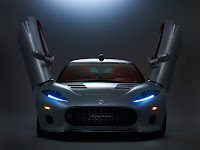 In line with Spyker's philosophy of delivering an undiluted sportscar driving experience, the drivetrain is not equipped with a limited-slip differential or any other mechanical or electronic aids.